With the near ubiquity of technology enhanced education, new learning environments are emerging. Flat learning, active learning, and place-based learning are modalities that are helping to revitalize schools, and work to the benefit of learners. From an educational leadership standpoint, how does one navigate this new landscape, the new tools, and the learning shifts to thus help educators and students take advantage of this new global education playing field? The answer is multifaceted. First let’s examine the new landscape of flat learning. Then let’s take a look at the influence of digital technology and its role in supporting learning in both local and global communities. Finally, we will explore the role of the leader in place-based learning, active learning models, and more. 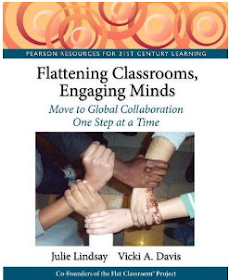 The term “flat” learning applies to a multimodal approach to being connected and learning with and from others in a global capacity. There is no hierarchy of learning as such because all voices are equal, and there is no one dominant group delivering the information to another group. All learners, through access to online technologies, develop an external network and bring the world into their everyday teaching and learning to be able to “learn about the world, with the world,”. This aids the student in working with others in a successful manner at a distance as well as in person. 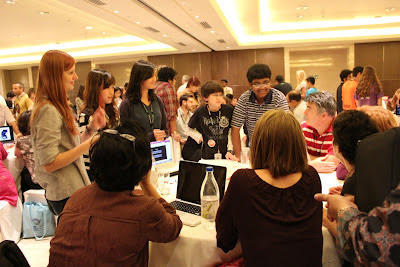 The use of technology promotes transparency and accessibility, for example the “Head of School” is now more accessible. Teachers are using multiple online technologies to brand who they are and what they do in their professional lives, and this practice creates local as well as global connections for daily interactions. A global education leader knows that digital technology is part of the solution in meeting the needs of today’s learners. This same digital technology also supports an individual’s vision and empowers learners through alternative and virtual networking capabilities, using both synchronous and asynchronous communication techniques. A new paradigm for educational leadership is emerging to support place-based learning, connectivism, and global outreach. A learning environment can aspire to have certain flexibility so that all participants consolidate as well as innovate within the community, so that they are able to break out of the “bubble” that constrains true global independence and collaborative learning. It is easy to say “visionary” leadership is required to support flat and connected learning modes. 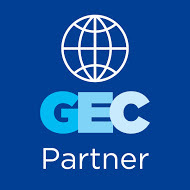 In fact, global standards include “vision” as an important attribute, for example, ISTE Standards for Administrators state: “a shared vision for comprehensive integration of technology to promote excellence and support transformation throughout the organisation.” However, in terms of implementing the vision, we need to question what the best manner is to support students as well as teachers in order to help all learners find their own voice and take charge of their learning. How do we promote a culture of sharing and collaboration and the mindset needed for flat learning that views change and the change process as normal? How do we redefine the role of the teacher AND the role of the student to embrace active as opposed to passive participation in learning? A global education leader needs to move away from strategic leadership (where only leaders are encouraged to look beyond the organization for information and new knowledge), and move to a more flattened leadership approach. An astute global education leader understands that a flat, connected learning environment has less hierarchy of command, is more agile in approach, and encourages every educator to be looking out for critical information that supports learning. As leadership models evolve it is important to understand and share the importance of effective leadership in a connected and collaborative world as a mindset as well as a skill set. This involves a shared responsibility including collaborative planning as a school community to take advantage of global learning. Support must come from within the school for educators who, as global leaders themselves, want to take risks and try new techniques and ideas. Otherwise, serious and lasting change cannot be sustained. Connected learning promotes ownership of the learning pathway, and all stakeholders rely on effective leadership to not stifle creativity and collaboration. Above all, global education leadership relies on a flattened hierarchical approach for sustained capacity, and a scenario where in fact leaders “get out of the way of the learning” by fostering technology-supported and engaged methods rather than passive learning modes. 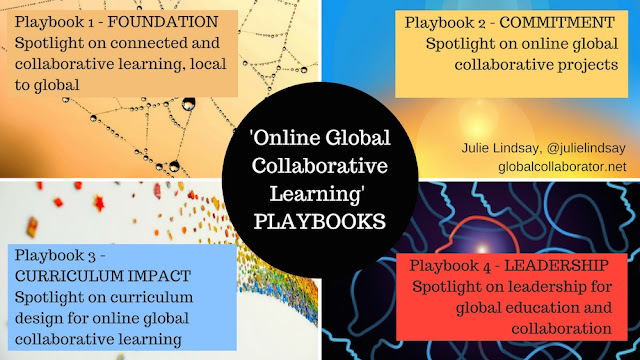 Julie Lindsay is a global collaboration consultant, innovator, teacherpreneur and author and is currently a Quality Learning & Teaching Leader (Online), and an adjunct lecturer for the Faculty of Arts and Education, Charles Sturt University in Australia. 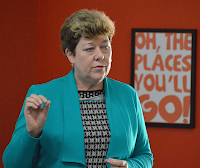 She is completing an EdD at the University of Southern Queensland with research focusing on online global collaborative educators’ and pedagogical change. For 15 years she worked as an education leader in digital technology, online learning, and curriculum across Asia, Africa, and the Middle East. 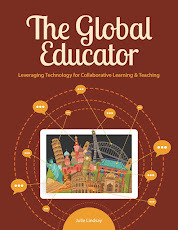 Her new book, The Global Educator: Leveraging technology for collaborative learning and teaching, published by ISTE, shares many stories, approaches, updated practices, and case studies from K-20 on how to connect, collaborate and co-create, and take learning global. Follow Julie Lindsay on Twitter. 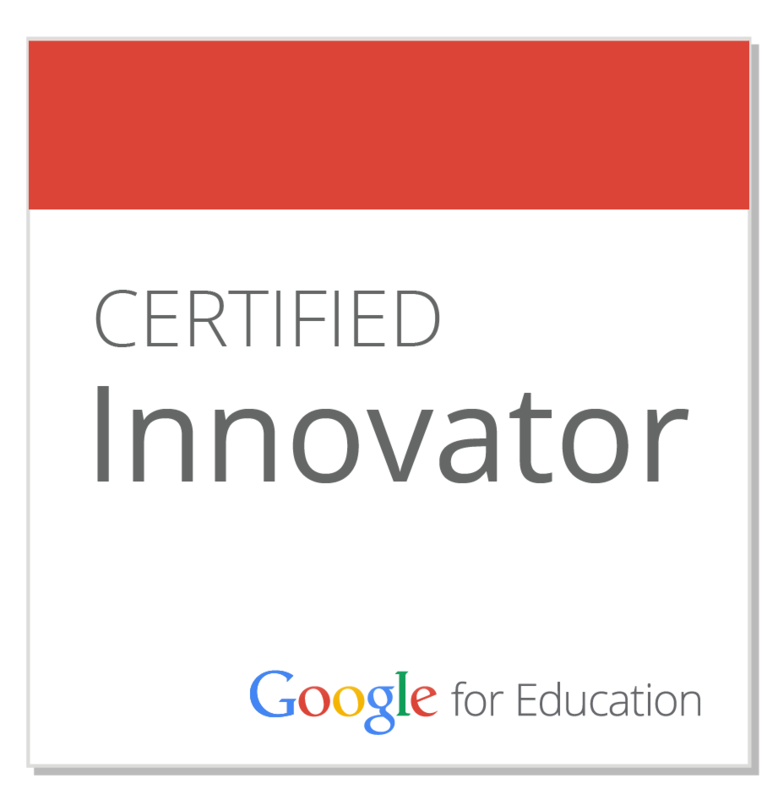 This blog post first appeared on the Pearson Education Blog.